Microsoft has teamed up with mobile video ad network Vungle to give developers a new way to monetize new apps they're building for Windows 10. The Vungle Software Development Kit for Windows 10 is designed to let developers of applications that reach across traditional PCs, tablets and phones easily add video advertising to what they're building and get paid when users look at those ads. The videos are built to use Windows 10's native players, and don't require the use of Flash. While Vungle is providing all of the technology for ad delivery, Microsoft promoted the partnership during its Connect developer conference Wednesday, and posted a guide to using the Vungle SDK on its blog. Video advertising is growing in popularity as high-speed Internet service becomes ubiquitous. In particular, the service is aimed at helping game developers make money off the video games that they produce in the same way they'd monetize them on iOS and Android, where Vungle already has a long track record of serving ads in more than 15,000 apps. In the view of Colin Behr, the vice president of business development at Vungle, advertising is key to the growth of an application ecosystem like the one Microsoft is trying to build. "So, we see it as a virtuous cycle, both monetization and user acquisition, that has to happen for any platform to be successful," he said. "And Windows 10 is really also in a similar position there where it’s a new platform that’s launching, and to be successful, obviously, the developers have to be successful on that platform also." Adding a new, easy avenue for monetization to Windows 10 is key for Microsoft, which is trying to attract applications and developers to its Windows Store, an app store built into its new operating system. Windows 10 provides support for the Windows Universal App Platform, which lets developers build one core application and then make it available across PCs, tablets and smartphones running Windows 10. 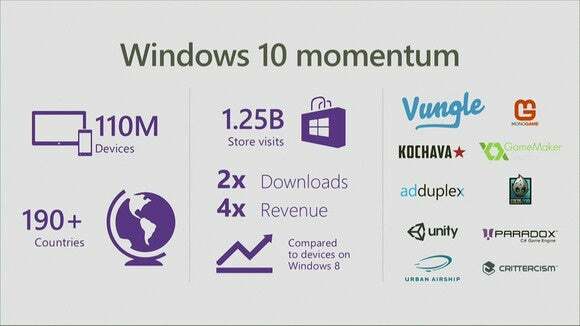 Building up a game development ecosystem for Windows 10 is also important for the long-term health of the Windows Store. Games are some of the consistently top-selling applications on both the iOS App Store and Google Play Store, and having a wide variety of fun experiences on the Windows Store will help keep users coming back to Microsoft's application storefront. This partnership is also good news for Vungle, which is one of the leading providers of mobile video ads. 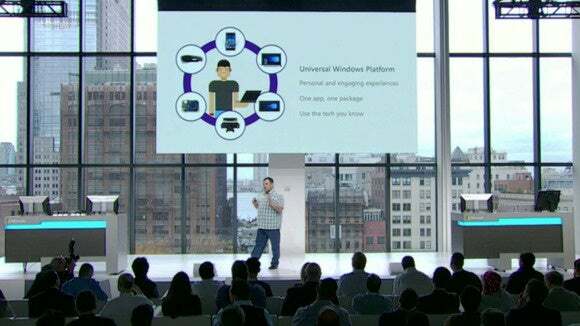 While the company's ads are only available on smartphones, PCs and tablets now, the Windows Universal App Platform may allow the company to expand to providing advertisements on the Xbox One (which now runs Windows 10) and even Microsoft's HoloLens augmented reality headset. Working with Vungle isn't the only step Microsoft is taking toward promoting monetization opportunities for Windows apps. The company already offers developers the chance to integrate multiple banner ad networks into their applications, and regularly publishes blog posts about trending apps doing well in the Windows Store.